By Peter Anderson Leave a Comment - The content of this website often contains affiliate links and I may be compensated if you buy through those links (at no cost to you!). Learn more about how we make money. Last edited January 15, 2019 . A few years ago we were going over all of our big bills and cutting costs where we could. One of the bigger monthly line items was our mobile phone bill. Back then we were paying $40-50/month for each of our lines, and this was without including mobile data which was still not a big deal. Then we discovered the world of low cost pre-paid no contract cell phone plans. We switched providers and almost cut our phone bill in half. Since that time we've used quite a few mobile companies, and costs have continued to come down. MVNOs, or mobile virtual network operators, have popped up left and right. 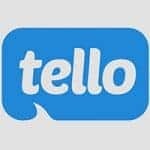 These are companies that don't operate their own mobile network, but instead lease space on the network of a bigger provider like Sprint, AT&T, Verizon or TMobile. I've used several MVNOs recently that operate on the Sprint network, and all of them work well for my needs. We get good coverage and call quality, and we really have no complaints. So while they're all operating on the Sprint network, choosing a provider in many instances comes down to which ones have the best customer service, the best apps and tools, and the best overall pricing. One of the most affordable mobile providers I've found, is the one we'll be looking at today, Ting. 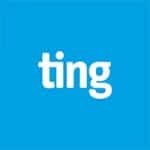 Ting is a mobile virtual network operator and internet service provider launched in February 2012 by Tucows Inc. Ting provides cellular service in the United States using Sprint's CDMA, EV-DO 3G, and 4G LTE nationwide network as well as GSM service via the T-Mobile network. In 2014, they also launched fiber-to-the-home symmetrical gigabit internet in certain markets. 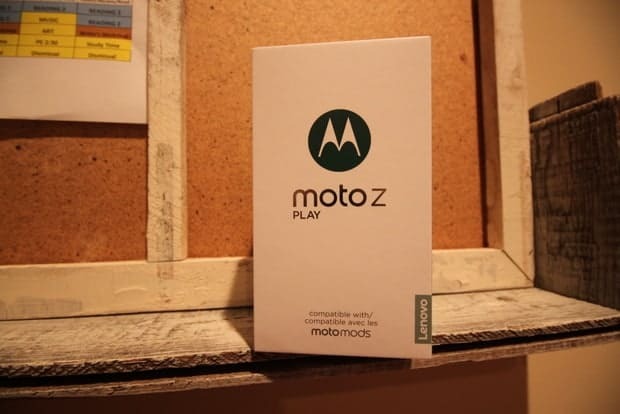 They launched in 2012 as a CDMA carrier on the Sprint network, and in the spring of 2015 they announced that they would have GSM services available via the TMobile network as well. So choose whichever one works best in your area, and get a compatible phone. 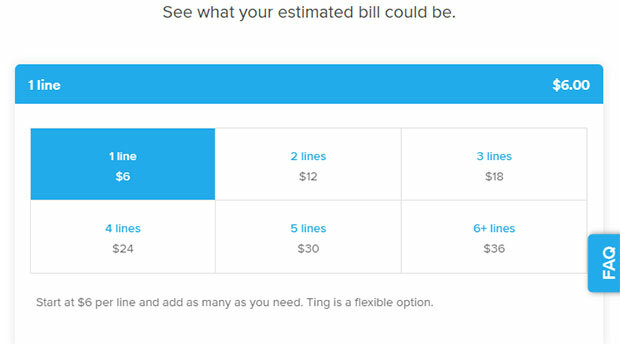 Ting's tagline is “A smarter phone service where you can get more for less.“, and they definitely fulfill that promise. 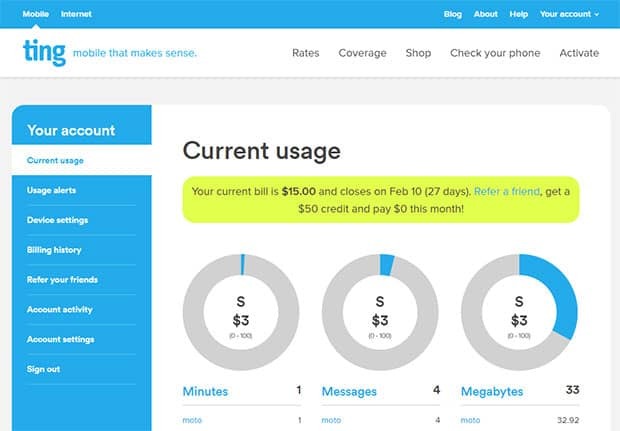 Ting's plans start at as low as $9/month, with 100 minutes talk, no text and no data. They go on up from there depending on just how much of their offerings you use. According to Ting, the average user will pay around $22/month. In scouring the internet to see how their pricing compares to other providers, they consistently come in near the very low end of the costs, although depending on how much data, texts and calling minutes you use, they may or may not be the cheapest. What it comes down to in my view is that if you're a low user of talk/text and data, you're probably going to find an extremely cheap calling plan with Ting. If you use a ton of data, there may be more affordable options available to you. Just know what your average usage is, and figure out if it will be the best fit for you. Chances are, it will. Ting has a ton of new and refurbished phones you can buy on their service, from iPhones to Android phones, or even an old school flip phone. The one thing to note is that the cost for the phones is unsubsidized like they are on expensive network calling plans, so you're likely to be paying the entire cost for the phone up front. 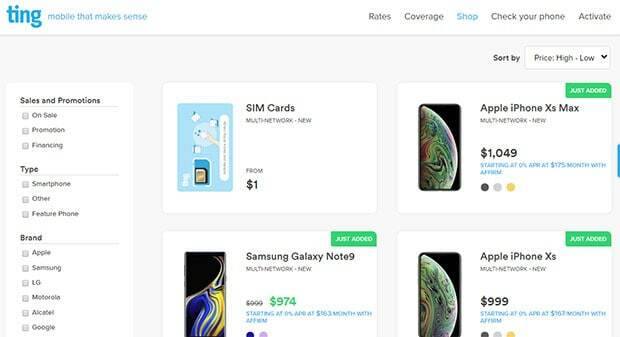 They do have phones of every price point available, so you can get the newest $1000 iPhone, or a $40 budget flip phone. The phones in the shop will vary by day and availability, so check it often to find the one you want. Ting also has a bring your own device (BYOD) program that means you can bring just about any CDMA Sprint certified or GSM phone to the service. To see if yours will work go to this link and then click on the “Check Your Phone” link at the top. In testing out the Ting service I already had a Sprint network phone that I wasn't using. So all I had to do was check that the phone was compatible with the service (it was) and Ting sent out a new SIM card that I could put in the phone to get started. 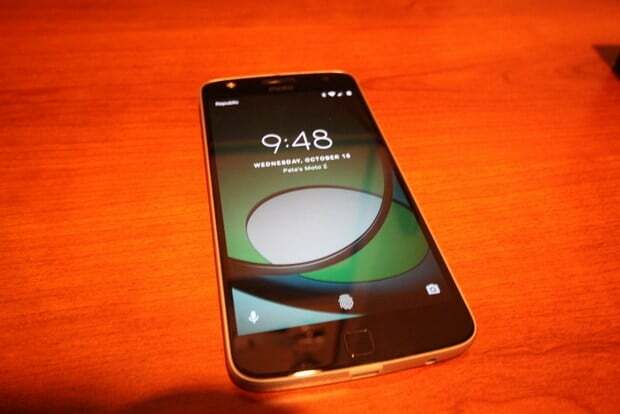 Once I inserted the SIM card, I rebooted the phone and went to their website to activate the device on Ting. During the activation process it will ask for your device's MEID or IMEI number and ask you to choose a phone number for your phone (or ask you about porting an existing number). Then you'll need to enter a credit card so that you can be billed once your post-paid billing month is complete. I had no problems when activating the phone, it was actually easier than I thought it might be. The phone service just started working almost immediately. Mobile cell phone plans have been going up in price for a long time, with most studies showing monthly cost for the average cell phone user being somewhere in the $80-$100 per month for an individual line of service. Thankfully with services like Ting your costs can be much, much lower. 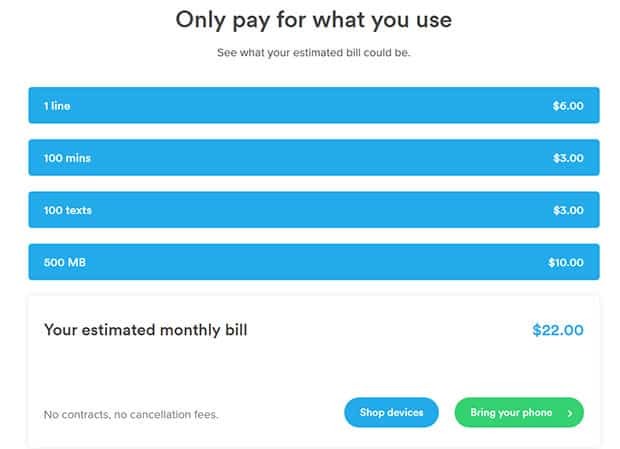 Ting calling plans are based on the idea of paying for what you use, and they're best suited for folks that aren't going to use a ton of data, similar to myself. With Ting you will first pay for each device that you have on your account. So if you have one line of service, you'll pay $6 for that one device. Have 3 phones on your family account? You'll pay $18. After deciding how many lines of service you'll have, you'll have to pay for how many minutes you use, how many texts you send and how much data you use. So for now a couple of weeks into the plan I'm paying $15/month for my plan, with the possibility that it could go higher if I use more data. The most likely thing to happen is that I'll use more data than 100MB, which would bump the plan cost up to $22/month. If I did more streaming and Pandora than normal, it's possible that i could end up paying for the 500MB-1GB plan which would cost $28/month. It comes down to this – you pay for what you use. In a low usage month you'll pay very little. In a high usage month you could pay a bit more. I've been using the Ting service for a short while now. Here's a quick look at how the service has performed for me. I don't do a ton of calling, but so far the call quality has been great. I've had no problems with calls breaking up, audio sounding delayed or garbled or anything else. It has the same great call quality that I had with other Sprint MVNOs I've used in the past, so I have no complaints here. Text messaging seems to work just fine as well. I've done a bunch of texts back and forth with people I know (new phone, who dis? ), and have sent pictures, emojis and more with no problem. I don't see any issues here either. I've been using the data between home and work to stream podcasts in the car and to do Google Maps while I drive. So far the coverage has been great, and streaming works well. While I likely wouldn't use much mobile data moving forward, I have no complaints. Ting has burst onto the scene with one of the most affordable mobile phone plans on the market for lower users of data. For only $9/month you can get 100 minutes of calling, with no texts or data. Need more data or some text messaging? Just pay a little bit more and you're set to go. You only ever pay for what you use. To sweeten the pot Ting has a deal right now where you can get a $25 credit in order to try the service out for free. Just click through our link below! Ting is affordable, reliable and has the definitely staked a claim to being one of the better MVNOs on the market right now. I'd put them on your shortlist of providers to try. Get Some Ting With a $25 Credit! Last Edited: 15th January 2019 The content of biblemoneymatters.com is for general information purposes only and does not constitute professional advice. Visitors to biblemoneymatters.com should not act upon the content or information without first seeking appropriate professional advice. In accordance with the latest FTC guidelines, we declare that we have a financial relationship with every company mentioned on this site.